Barbecued poussins. 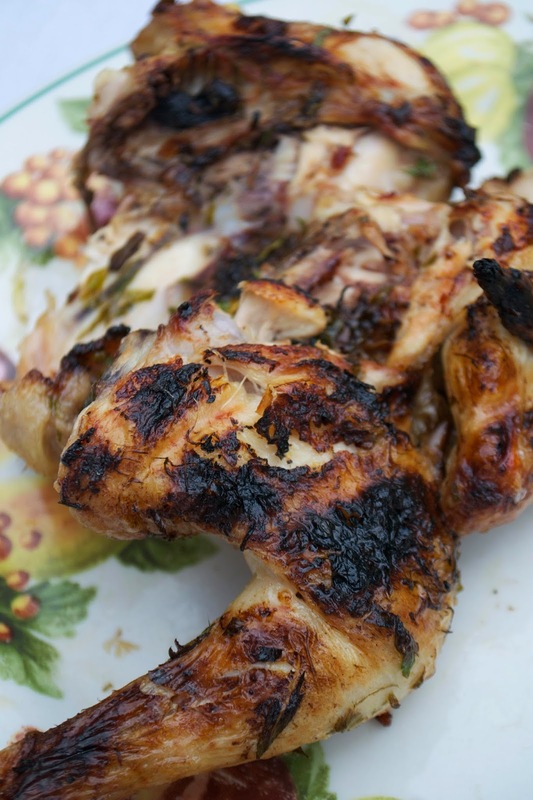 A poussin is basically a baby chicken - and because they're small, they cook really quickly, and in their skin, too - which seals in all the juices and flavour. Since we tried these, we can't light the barbecue now without getting one of these to share. We had friends round for lunch the other weekend, and converted them too. I just marinade them in a mixture of garlic, lemon, coconut oil and parsley - give them a quick rub with some salt and then barbecue them whole. For my general cooking I use a mild coconut oil, with no coconut flavour. Here's how I do it. Take two poussins and spatchcock them (this isn't tricky at all, and just requires a little bit of elbow grease - full instructions on this post about spatchcocking a chicken). Next, take out a large roasting dish and squeeze in the juice of 2 lemons, a large handful of parsley (chopped) and then 3 whole, but crushed, garlic cloves, removed from their skins. Add 3 tablespoons of coconut oil and then add the poussins, rubbing the marinade and oil over them (if your coconut oil is solid, it will melt down a little as you mix it all with your hands). Wash your hands and cover the poussins with cling film and keep in the fridge until you're ready to cook. 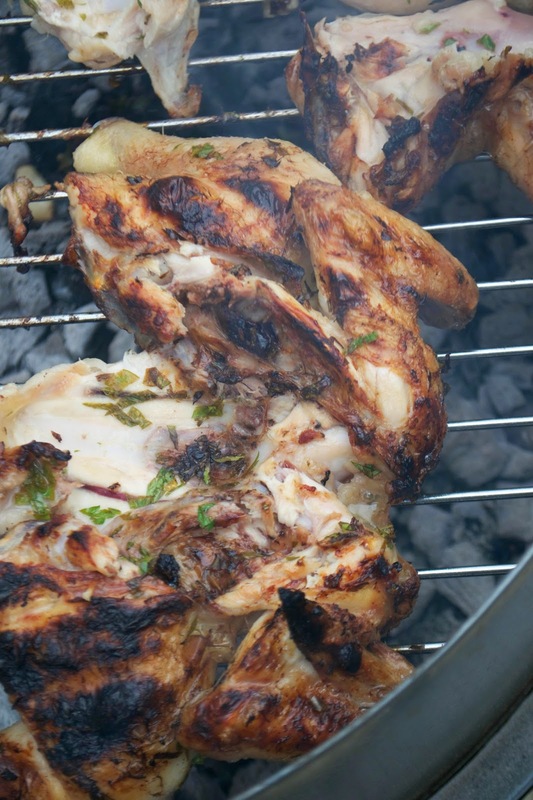 Once your barbecue is ready for cooking (no flames, just chalky, hot coals) sprinkle the poussins with a good pinch of salt, and lay them out flat on the bars of the barbecue. Cook for about 7-8 minutes and then turn over. The poussins should take around 15 minutes in total to cook, but check there is no pink flesh (or pink juices) by cutting into it before serving. If there is, put it back on the barbecue for another few minutes until it's fully cooked through.